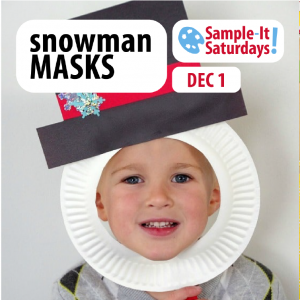 A simple and fun winter activity, kids can make their own Snowman Masks to take home! 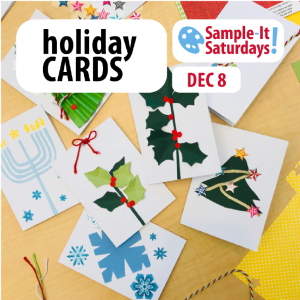 Share the joy of the season with a one-of-a-kind handmade card! Cut, color, thread, or draw your own cards to send to loved ones! 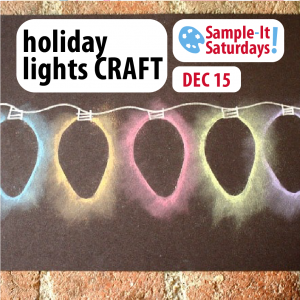 A fun and easy craft to make your own shining string of lights art! We’ll have everything you need, so bring the kids! We’re making a cute, handmade ornament to hang off the tree! 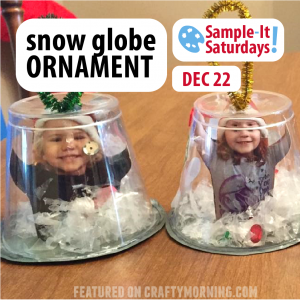 A unique “snowglobe” complete with fake snow! Join us!